At Shoreline Dental, we have the sweetest patients. Literally! 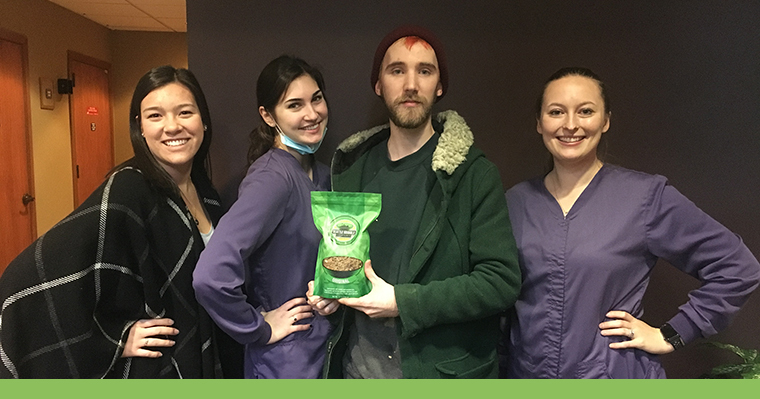 Our team would like to thank one of our patients, Mason, for bringing us some granola from the Seattle Granola Company. The Seattle Granola Company locally, hand-makes their granola with love! It is organic, vegan, and gluten-free so you won’t feel guilty about eating it. Its gluten-free oats are high in fiber and protein, while other ingredients included are rich in vitamins, antioxidants, and healthy fatty acids. On top of that, granola contains an abundance of minerals such as manganese, folate, vitamin E and C, potassium, iron, and magnesium, which all contribute to improving your body’s systemic health. Granola truly is a superfood. With all the power-packed ingredients that go into making it, it’s a deliciously sweet and healthy snack to enjoy with your morning yogurt, smoothie bowl, or simply just to nibble on throughout the day. Next time you’re in need of a mid-day pick-me-up, grab some granola from Seattle Granola Company to snack on! You can find Seattle Granola Company in your local QFC and neighborhood, including Shoreline, Fremont, Ballard, Queen Anne, and more! You can find a full list and more on their website.